My handbag weighed 7.5 pounds. I bought it a few years ago because it was large enough to hold everything I needed (first mistake) and because I could wear it cross body (second mistake). I use a rolling briefcase for work to carry my laptop and ipad, and the purses I used before always slid down my shoulders. I thought wearing a large cross body purse was a good way to avoid tangling my purse with my briefcase. I was wrong. 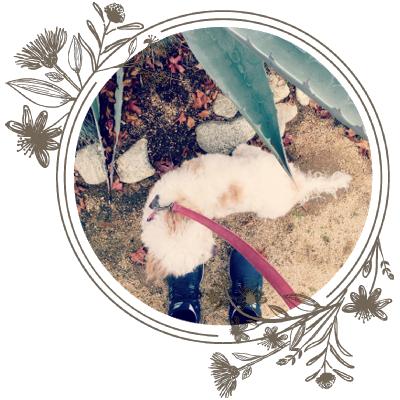 It was far too heavy and hung across my body in an unflattering way. I told myself in April I would clean out my purse and find a lighter bag over the summer. April was a really busy time for me. Lots of deadlines, lots of homework related projects, lots of performances and extra curricular activities. I was done and when I’m done, a tangled piece of lint is all the distraction I need to stop what I really should be doing to procrastinate on something less pressing. If you are like me and get caught up thinking about everything on your plate, real or imagined, try scheduling a time in the future to handle each of the tasks taking up room in your mind. In the past, I convinced myself that every problem needed a solution right then. They don’t, but making a plan to come up with a solution is sometimes all your brain needs to feel accomplished. Even better–sometimes by waiting you discover the problem wasn’t a problem after all. My handbag was a problem. It was big enough to hold everything important, especially Nico’s epi-pens, but it was also big enough to hold everything. I carried far more than I ever needed to carry, including three rosaries, 9 lipsticks/glosses, two packs of post-its, multiple pens and highlighters, an empty bottle of perfume, two bottles of hand sanitizer, motrin, cold medication, and 4 copies of programs for two graduations, two plays, two summer camps, and one graduation dinner. I wanted to avoid buying something new, but I didn’t think I had something that could work. Nico’s epi-pens, for whatever reason, take up more space and weigh more than I expected. I only noticed this on a day I forgot to put them in my bag. The difference in weight was striking! The average woman owns seven handbags. I owned far more than that, but after going through everything, I am down to three: a floral LeSportsac tote, a straw clutch, and a black beaded clutch. (Edit: A comment reminded me that I have one more purse, a nylon Longhamp tote.) My mom gave me two small handbags when I told her I was looking to size down, but I might give them back. They’re leather and I’ve discovered that most leather handbags weigh at least two pounds when empty. 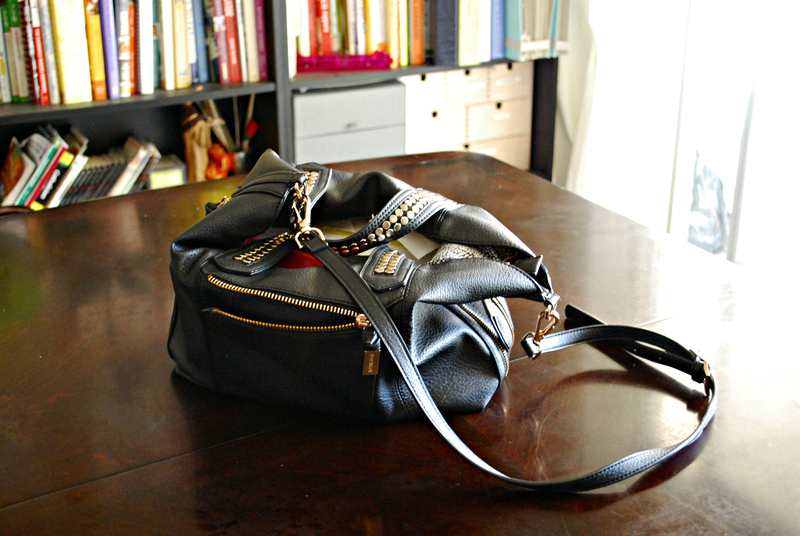 The ideal handbag should weigh two pounds total. Yeah, right. I knew I wasn’t going to be able to get my bag down to two pounds, but I was willing to try. The first thing to go was all the trash and paper. 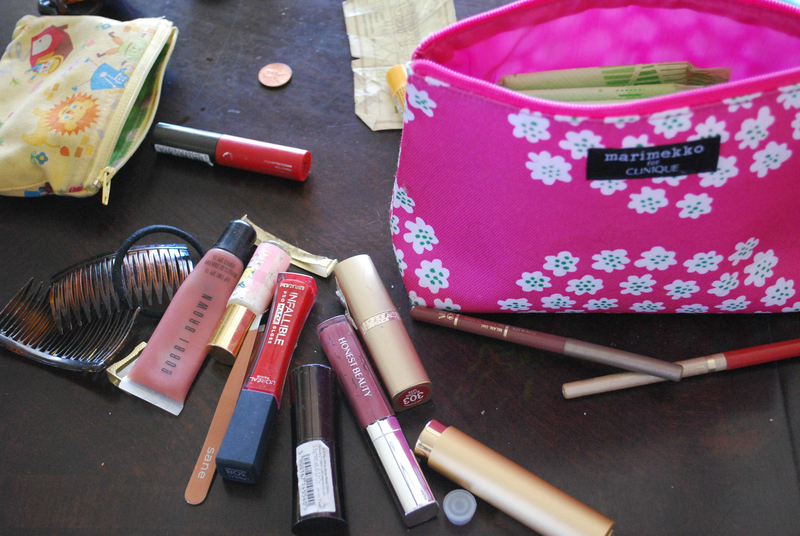 I got rid of five lipglosses, four pens, two rosaries, two eyeglass cases, and an entire pouch of nothing important. I switched out one pouch for one that was far lighter to hold my receipts. Then, I washed my old Lesportsactote (similar), loaded it up, and weighed it. From left to right is the above mentioned paperwork, my wallet, Nico’s epi-pens, my makeup/beauty/medication bag, a pouch to hold my checkbook and paper receipts, my eyeglass case, and mints. I was expecting a dramatic improvement, but the biggest change in weight only happened when I switched from leather to fabric. 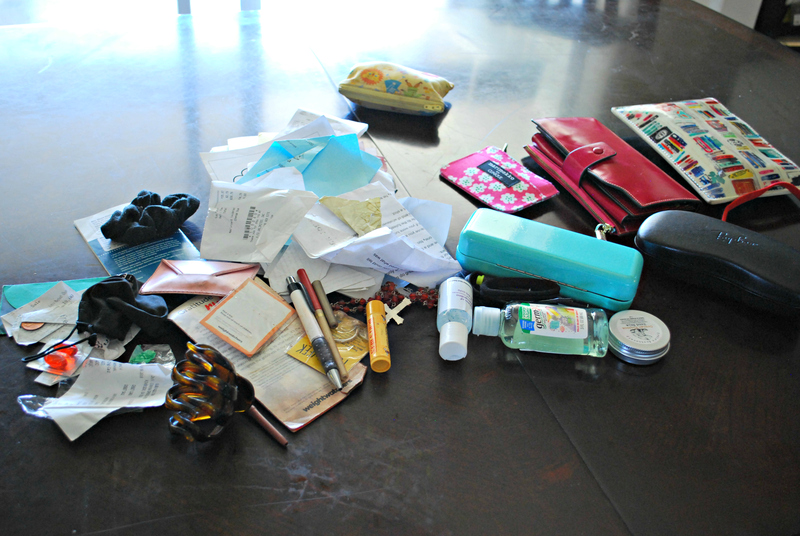 I’m curious to see how much everyone else’s bags weigh, especially if you cleaned our your purses this week. *I read a few posts online about handbags, and while everyone keeps citing the average weight, number, size, and color of a woman’s handbags, no one has bothered to link to the original source. Was there an actual study of woman’s handbags? Who knows! It made for entertaining reading, nonetheless. The average woman owns 7 handbags. The ideal weight of a handbag, according to a chiropractor. Here’s what happened when we weighed woman’s purses. 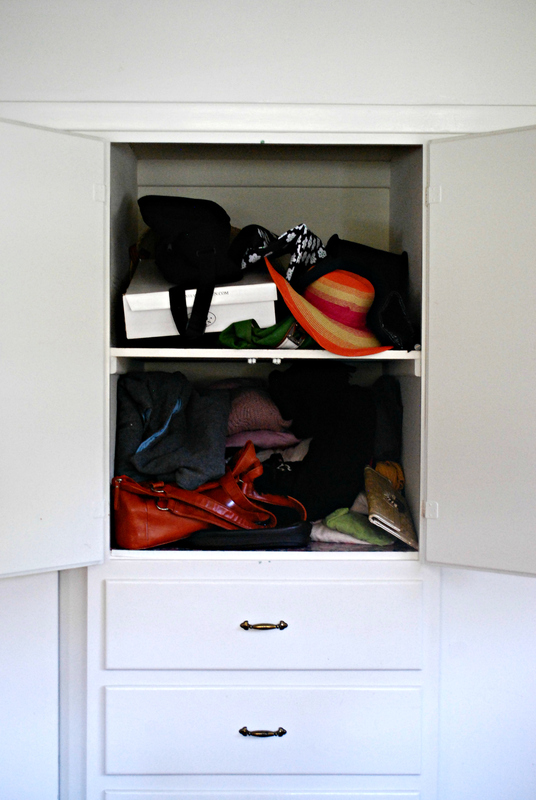 How to be organized: what the average purse weighs and how to organize it. Purses are a struggle, especially on a family vacation where i end up being a pack mule somehow. My everyday purse is a medium sized leather? crossbody bag by the Sak. Crossbody is non negotiable for me or I constantly feel like I will be robbed (quirk leftover from living in a less than stellar Chicago neiborhood in college?). In it right now: wallet, pouch of extra loyalty/credit cards, travel sized Advil, assorted tampons and lip balm and a pen. I don’t carry a checkbook anymore. My phone is sometimes in the outside pocket, but i prefer to keep it in a pocket on my person is possible. Sunglasses if tgey aren’t on my head. Mine gets heaviest when the change accumulates. I feel like i use a card for 90% of purchases tgese days so where does all the change come from?!? Purses are a struggle! I have an irrational need to be prepared for every possible event, especially sickness or injury. I carry enough pads to stop a full on hemorrhage. One of the articles I read said that we should take advantage of our cars and workplaces. I need to set up an area in my closet at work that holds all the things I’m so afraid to be without, like motrin, pads, perfume, deodorant, and a hairbrush. One change I made was to ditch my wallet, which was surprisingly heavy. Now I use a small pouch which holds my essential IDs and cards and a little change purse. It’s easier for me to find things and weighs a lot less. But I don’t carry much cash, so it works for me. Thanks for sharing your methods. Think I’m going to add a little pouch for receipts too. They usually just disappear into the purse abyss. YOu’re welcome! :) I got the idea to stuff receipts in a pouch from somewhere (MIL? Stranger?) but they kept them in a simple ziploc bag. It’s the receipts and random bits of paper that really turn a purse into a trash bin. Those were the days. After college I would just take the wallet out of the backpack and carry it into stores like a clutch. I didn’t even have a phone, since at that time they were still installed in cars. I need to weigh my purse when I get home. I have done it before- my husband was concerned that my work bag weight was exceeded my post surgery limit, but he was wrong. It is still probably heavier that should be. I prefer nylon to leather also, but I am the dinosaur who still keeps coins in her wallet, and that adds weight quickly. I did downsize when my Longchamp fell apart, but then I started carrying a cotton tote (the free kind ) for things that didn’t fit and left it (along with shoes and a stainless steel water bottle) on a train. Purses really are the enemy. I think I have the same Longchamp! I have to update the post as that purse and the floral are the only true purses I kept. In one of the articles I read they mentioned that commuters have to bring what those of us with cars should leave behind. 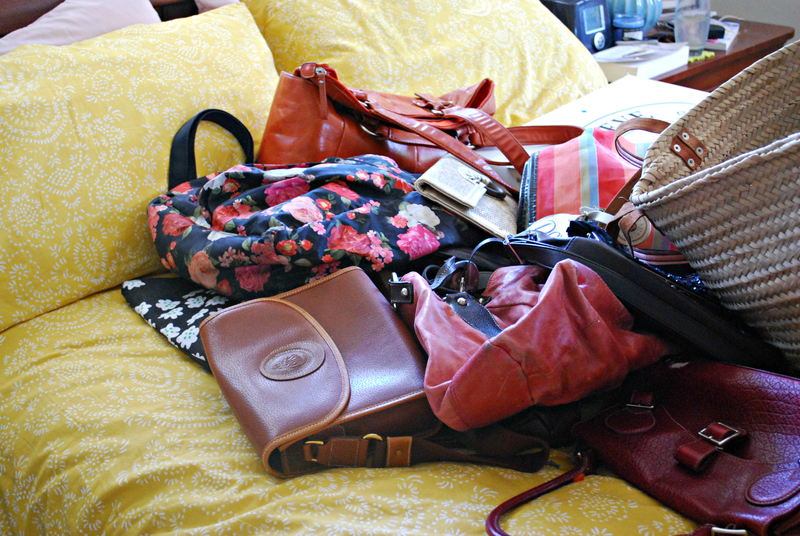 I’m already a hoarder when it comes to what I put in my bag. I can’t imagine how I would be if I had to walk from a station. I’d have an umbrella, light jacket, first aid…I’d be ridiculous, I know it. This post really appealed to the nerd in me. Weighed my purse when I got home, it’s 4.6 lbs. Not awful, but I’ve never been one to carry a huge purse and it’s just me, no kiddos to worry about. My wallet alone (and the change it holds) is .6 lbs. I prefer a crossbody though because I hate having to hold things, even with my shoulder. But I hear you on the unflattering angle. Hilarious! I delighted my inner nerd by weighing my purses and then the contents until I got the weight down as low as it could go. I absolutely had to go and weigh my handbag after reading this. It tipped the scales at 1.4 kg, which I think is about 3 lbs. BUT it is a very small bag and I don’t have children, which I suspect makes a big difference. I do carry a second bag to work for things like my planner, umbrella (depending on the forecast), lunch (if I’m bringing it from home), reading material, etc. I don’t usually want to carry all that on the weekends or days off, so I prefer to keep it separate. Having “essentials” stashed at work or in the car does help. I have a desk drawer at work dedicated to hand cream, pain killers, sunscreen, and perfume. I’ve had so many people tell me they had to weigh their purses! I did too, once I read those posts. I am definitely going to be smarter about storing essentials in my car and at work. I have no good reason for not doing so already. I even have a locker at work that I have never used. I carry my wallet, keys, and phone. That’s it. I will pack a bag if I’m doing a day trip with the kids but otherwise I keep a makeup bag in the car, baby wipes and spare clothes in the car and snacks. So fine the van is one giant messy purse but I can probably get by with that 2 pounds for a purse thing. I weighed my purse and was stunned to find it on the low end at 4.4 lbs, as it feels like a million lbs on my weak little neck. This year I outsourced all the epipens/benadryl/inhalers/steroids to 10-yr old Henry, who now carries them himself in a fanny pack (even at school). That seriously lightened my burden. Also, since I broke my neck last year, carrying even a 4 lb purse really puts a strain on my neck, so I tend to either leave it in the car and bring a credit card/phone/keys in my pocket, or I ask one of my kids or husband carry it. (I am happy to report that if I say “somebody please carry this purse for me” all three kids (two boys!) will put out a hand. I am not the best parent but I’ve made three humans that are kind, thoughtful, non-complaining helpers, so yay me.) I’ve also stopped shopping just about anywhere but Target or the grocery store, so, toss it in the cart. I have one purse. Always have. I tend to buy a modestly expensive purse and wear it into the ground for five years or more. My current model is a navy blue Coach medium size bucket purse (bought four years ago at the Lake Arrowhead outlet on clearance for $75). It is getting holes in the bottom and is getting close to retirement. Inside my purse: a million tampons and pantyliners. One giant electric pink wallet. An inhaler. Four thousand receipts, even though I tossed them all out two days ago. Five pens, a pencil, a tiny measuring tape. Usually some kind of chocolate. A lipstick I bought three years ago and have never worn, but if I ever am seized by the urge to put on lipstick, I know where it is at. I’m still so amazed you broke your neck and survived to tell the tale. I love your description of your purse contents. I, too, carry enough sanitary napkins to treat gunshot victims. I’m not sure why that is, but clearly I have fears. I have two messenger-type bags that I adore but are too heavy for my bad back to carry on a regular basis. 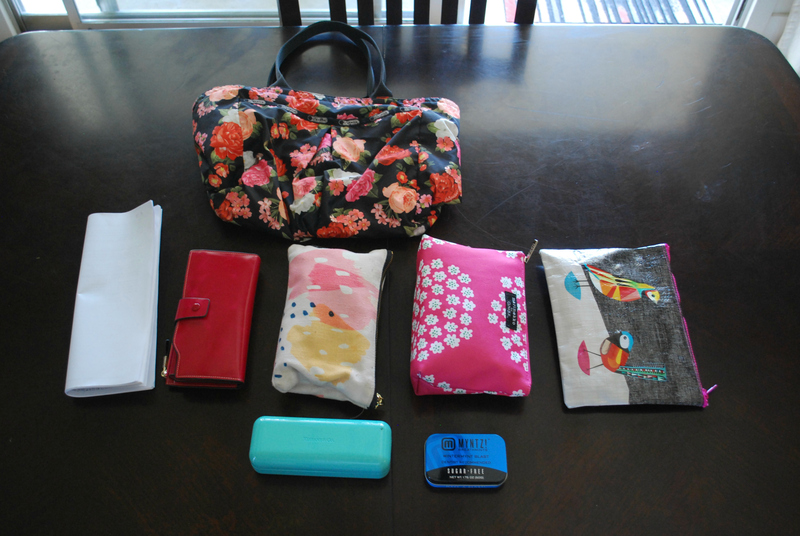 So I keep my necessities in a small purse which I have in a small tote bag with other things I’d like to have with me. If it’s a quick in-and-out trip I’ll usually take the entire thing with me, then leave the tote in the car while I carry the purse inside with me. Unless I’m going to the grocery store, then I’d need the entire thing. This is my spring/summer/autumn bag; in the winter I don’t need to carry my EpiPen, so most of the things in the purse and some of the things in the tote get transferred to my coat since I have a SCOTTeVEST trench coat with *loads* of pockets. And if I’m going to a festival or something I have other totes that are more useful and/or spacious [e.g. one is insulated so we can bring cold water, and one has a built-in wallet like my purse]. I have other purses as well — more elegant ones for holiday parties and such, and a couple that I still like but are no longer practical for everyday use. None of them were expensive; I just buy what I like and is functional for me. This purse I have now is E.T.A. by Rosetti, which I’m told is a “fancier” brand [though definitely not high-end], but I got it on sale for $20, and I have two Harveys Seatbelt Bags, purchased from eBay for $40 each — I don’t think I’d ever spend more than that for any bag — and I had to “force” myself to spend that much, but I wanted them because they’re durable [I had no idea they’d be so heavy!]. I feel like I’m rambling now because of brain fog, so I guess I’ll stop typing, lol.